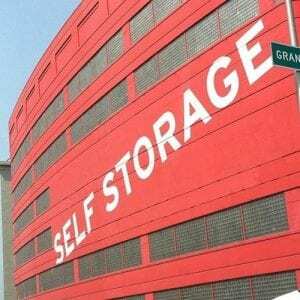 When you’re looking for self storage Bronx NY, why not go with the best? Moishe’s Self Storage is the city’s leading trusted storage provider for over 30 years. You won’t find more affordable rates on clean, climate-controlled rooms with the most security features in NYC. When you live in the five boroughs, you know storage space is worth a lot. That’s why Moishe’s is the city’s largest storage provider. We offer free pick up services to the five boroughs, with a 3-month commitment, up to a 5×10’ space. Call (800) 536-6564 to schedule your free pick up today. Our team of experienced NYC relocation experts will pick up your belongings, pack our truck and move them into storage for you, at no extra cost. We utilize the most security features of any storage facility you’ll find here. Part of our 100% customer satisfaction guarantee is providing you the peace of mind knowing your possessions are safe with us. At Moishe’s, you’ll know you’re getting the best value for your money. Being NYC’s trusted Self Storage Bronx NY provider for over 30 years, Moishe’s has your best interests in mind. The safety of your belongings is our promise to you, and we deliver on that promise. Our account managers and security staff will always be available to assist you with your storage space. That’s the Moishe’s difference. Feel free to schedule a consultation with one of our account managers today. With over 20 storage sizes, including customizable storage space, you’re sure to find the perfect fit for all your storage needs with Moishe’s.